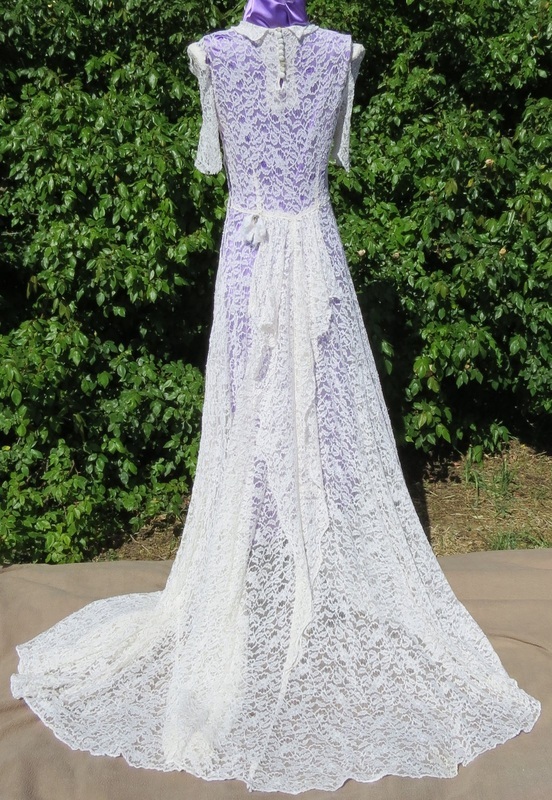 Edwardian for display or study 2; not robust enough to wear. Dis9. Cream taffeta ? silk late Victorian bodice with leg-of-mutton sleeves. 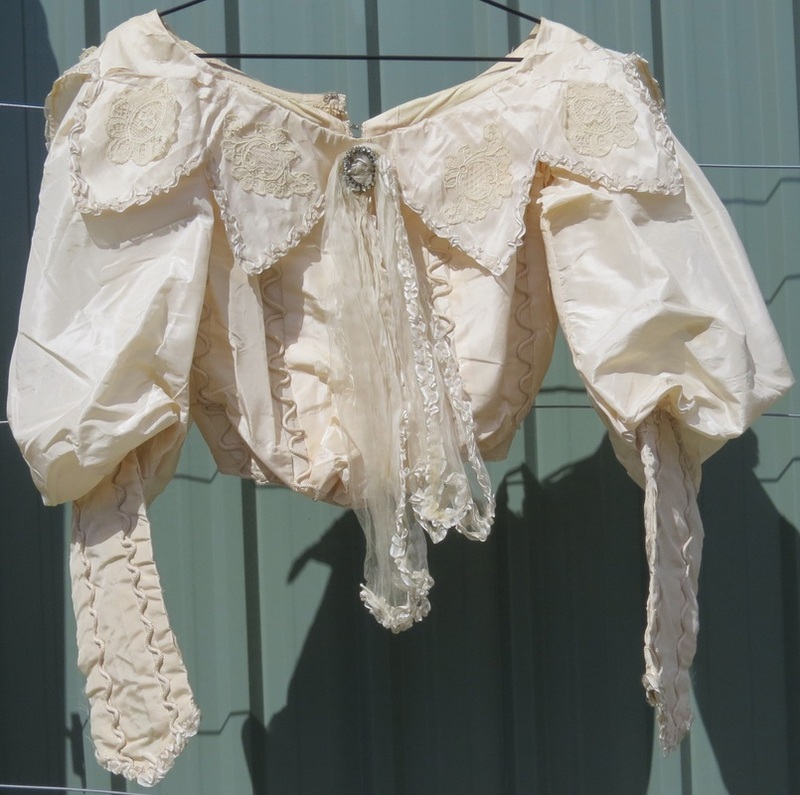 We bought this to salvage the 8 Alencon lace appliques on the collar, the 12 bones within the seams, and the paste rhinestone brooch and organdie jabot. Till we get around to using them, it's for sale. 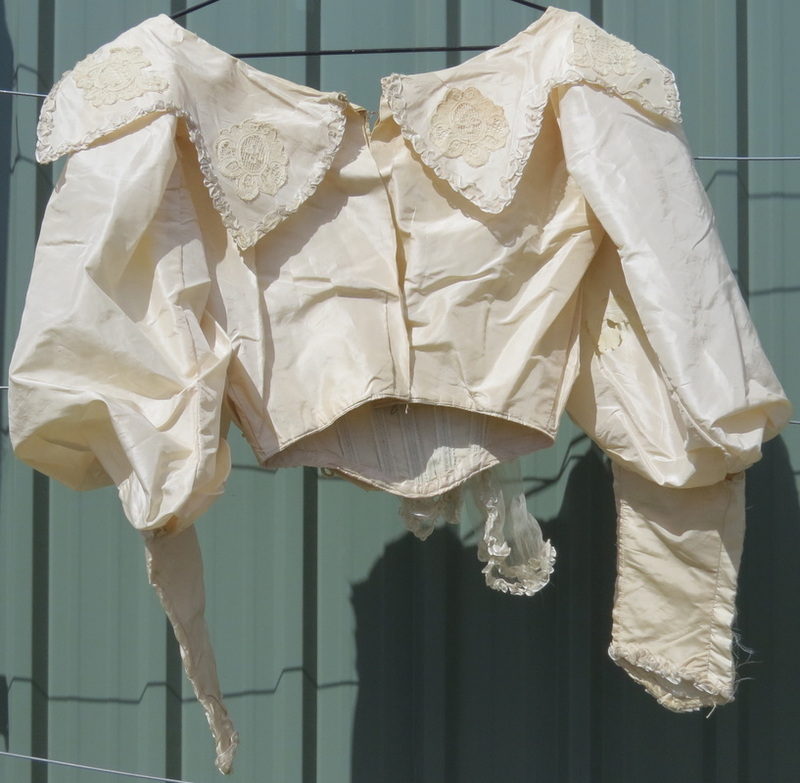 The fabric of the bodice itself is shredded beyond salvage. $60. Dis11. 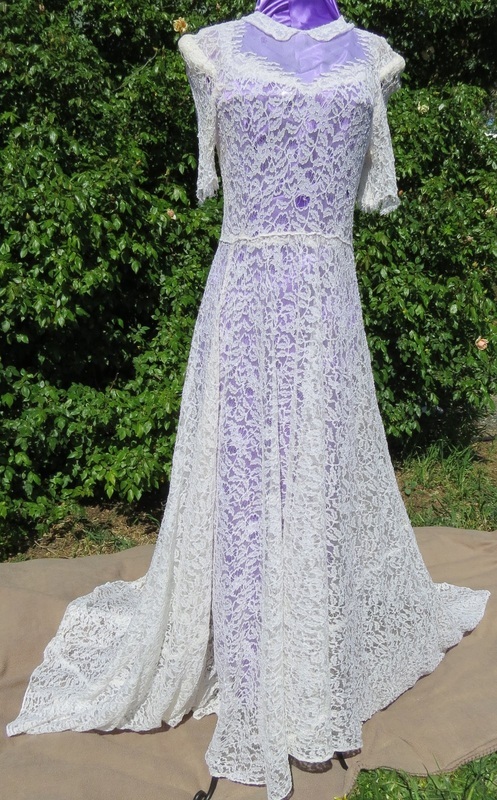 1930s wedding dress with train and peplum giving a bustle effect. Illusion front neckline with metallic threads. Unusual shoulder-pads. Tiny, with no give to the fabric; waist about 58cm. $40.